Learn about your team health, potential and performance. There are several "types" of teams, but they share characteristics that make them different from groups of individuals. We define a team as an interdependent group of people who may or may not report to the same supervisor and are collectively responsible for accomplishing shared goals. The degree of interdependence can vary, so it is more of a continuum than a dichotomy of team/group. The final call for whether a group is a team is ultimately a judgment call where someone will have to decided whether or not the groups tasks and goals are interconnected enough, but team dynamics matter more with more interdependence. Where did the assessments come from? The assessments measures several aspects of teams that have been related to team learning, innovation, and performance. 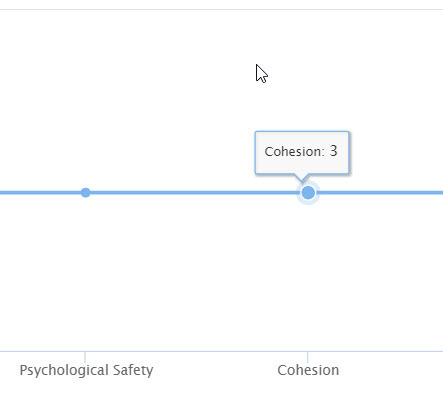 These include things like psychological safety, cohesion, trust, and engagement. The report breaks these factors down into the factors that influence team health, factors that result from team health, and the current perception of team performance. Can this be used in place of a performance review? No! This is meant to inform developmental decisions and teams a way to gauge their growth. Performance evaluation should be more specific to the organization the reflect the team's goals.